1. 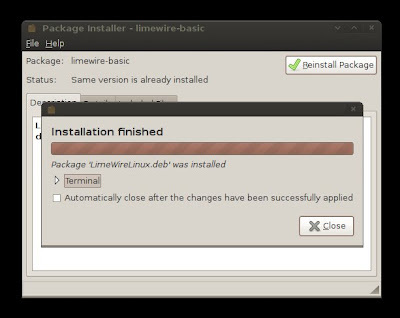 You can start by going to the LimeWire for Linux download page HERE, and then click on the download link. 2. 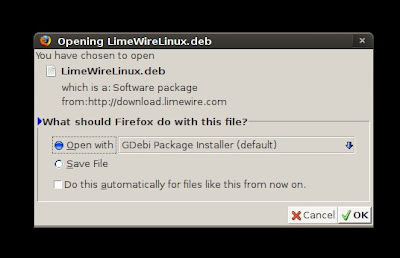 Open the .deb file with the GDebi Package Installer. 3. Complete the download, and then poceed with the installation. 5. You are done and as easy as that! Now enjoy downloading those dirty files (whatever those are) but beware of those destructive PC viruses that could infect and harm your computer and can often lead to insanity.